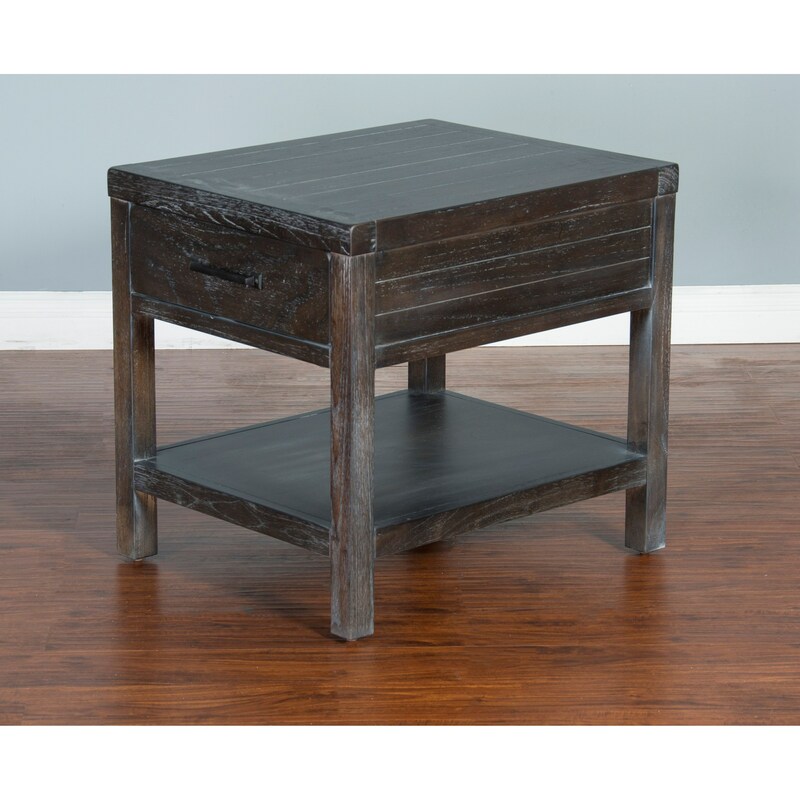 This end table's rich Kettle Black finish brings well-worn rustic style to this piece. Its drawer keeps small important items, such as glasses, organized and always within reach. Thanks to its generous length, there is room enough on this table for a plate of snacks to be placed next to a reading lamp. All these features makes this piece a perfect addition to the side of a beloved chair or sofa. The Dundee Rustic End Table with Storage Drawer by Sunny Designs at Stoney Creek Furniture in the Toronto, Hamilton, Vaughan, Stoney Creek, Ontario area. Product availability may vary. Contact us for the most current availability on this product. The Dundee collection is a great option if you are looking for Rustic furniture in the Toronto, Hamilton, Vaughan, Stoney Creek, Ontario area. Browse other items in the Dundee collection from Stoney Creek Furniture in the Toronto, Hamilton, Vaughan, Stoney Creek, Ontario area.